Summer 2010 marked the third brew Asahi created for the Aeon Group (Jusco, Maxvalue, etc. ), Asahi Yoine, meaning something like sounds of the early evening. With this limited brew, Asahi wanted to bring out the original flavors of the malt using 1.4 times the usual amount. This 100% malt and hop beer’s ABV measures in a a whopping 7%, and is sure to give you a good time. If you change the kanji used, with the same pronunciation you can say that it’ll put you to bed early (宵寝). Pouring this beer into the glass you can see that it’s got some color, almost an orangish gold with some opaqueness. The nose is very malty and there is a strong aroma of alcohol coinciding with the high ABV. Taking my first gulp, it starts off with a little tang then comes in with a big full body and nice round flavor. The bitterness of the hops comes on the back, ending with the cleanness you expect in an Asahi beer. The flavors are similar to the wort you’d try on a brewery tour, with more refinement. 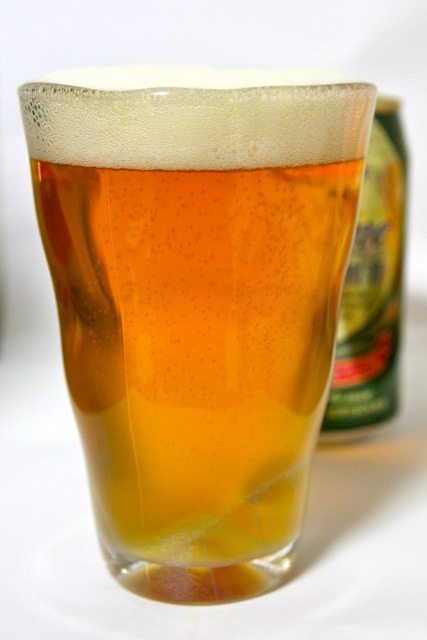 2010 was the year beer saw sales plummet, while whisky sales saw huge growth due to the popularity of the highball. Going a little out on a limb here, I’m going to liken the flavors of Asahi Yoine to whisky. There are oakey tones, slight sweetness, and strong alcohol flavor. I believe that this beer was mean to attract some of the highball drinking crowd, with the intense malty flavors and higher than average alcohol percentage. 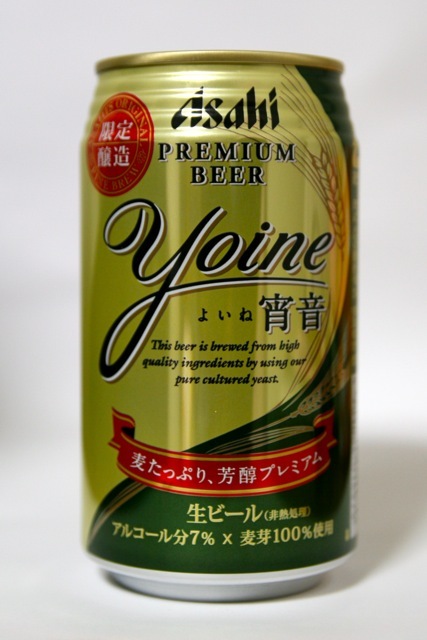 Personally, I found the alcohol a little off-putting, but Yoine did have a nice fulfilling flavor and the clean Asahi finish. A worthy beer to celebrate the holidays from the Asahi camp. I still see Asahi Yoine on the store shelves, but it won’t be around much longer. Get it at your local Aeon chain. This entry was posted in Japanese Beer and tagged Aeon Group, all malt beer, Asahi, Beer, Japanese beer, Jusco, limited edition, Maxvalue, summer. Bookmark the permalink. Sorry, but no. Asahi Yoine was just a one time release, and hasn’t been produced again since 2010.